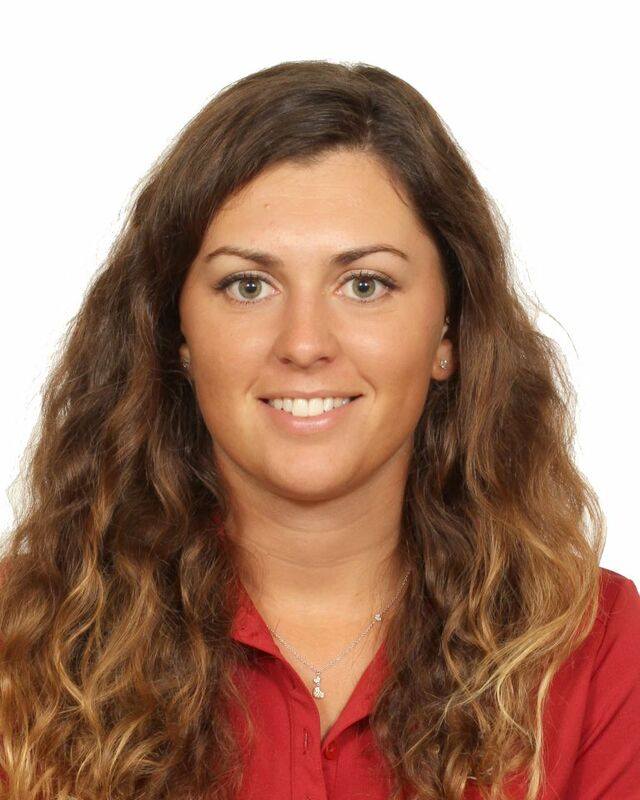 A two-time All-ACC honoree (2016 and 2017) who finished her career ranked fifth in school history with a 73.87 career stroke average…graduated from Florida State on May 4, 2018 with a degree in Management…earned All-ACC and All-NCAA Shoal Creek Regional honors in 2016…shares the school record for career-low single-round score with a 65 in the first round of the Schooner Fall Classic in 2016…holds three of the top 15 single-season stroke averages in school history – 73.43 (12th in 2017), 73.531 (13th in 2018) and 73.526 (14th in 2016)…one of 15 golfers in school history who earned 10 or more top-10 career finishes…tied for second in school history for tournaments played in (44) and rounds played (128) and fourth in school history in total strokes (9,455) when her career ended following her four-year career in 2018…played in three ACC championships, three NCAA Regional Championships and three NCAA Championship Finals in school history…joins only her sister, Morgane, as Seminoles who played in at least three NCAA Championship Finals (2016, 2017 and 2018) during their careers…earned her career best score for 36 holes (138) at the fall 2015 Jacksonville Classic and at the fall 2016 Schooner Fall Classic…best career score for a three round tournament (210) came at the fall 2016 Schooner Fall Classic…was a career-low 4 strokes under par in finishing in a tie for eighth place in the individual standings at the fall 2016 Jim West Challenge…earned the best finishes of her career (second place) at the fall 2015 Jacksonville Classic and spring 2016 Florida State Match-Up (tied for second)…also finished in a tie for third in the individual standings at the fall 2015 Cardinal Cup…finished in a tie for third place in the individual standings and led Switzerland to a second place finish in the team standings at the 2016 World Amateur Team Championships in Riviera Maya, Mexico…along with her sister, Morgane, helped lead Switzerland to a second place finish at the 2015 European Ladies Team Championship… finished in a tie for 17th place in the individual standings at the 2015 European Ladies Amateur Championships in Austria…finished in a tie for 52nd place in the individual standings at the 2016 European Ladies Amateur Championship in Sweden…finished in seventh place at the 2015 Swiss International Championship at Breitenloo Golf Club in Switzerland…played in the U.S. Women’s Amateur at the San Diego Country Club in 2017…named to the 2015, 2016, 2017 and 2018 All-ACC Academic Women’s Golf Team…named to the 2015, 2016, 2017 and 2018 All-American Scholar Athlete team by the Women’s Golf Coaches Association…named to the 2015, 2016 and 2017 ACC Academic Honor Roll…earned Academic President’s List Honors (4.0 GPA) at Florida State in the spring of 2016, fall of 2016, spring of 2017 and fall of 2017…earned Academic Dean’s List Honors at Florida State in the fall of 2014, the spring of 2015 and the fall of 2015…a three-time winner of the Golden Torch Award for the Seminole women’s golf team (2015, 2017, 2018)…the Golden Torch is presented annually and goes to the top student-athlete on each of Florida State’s athletic teams…earned the 2016 Golden Nole Award for women’s golf…the award is presented to one student-athlete on each team who has most exhibited the academic and community service ideals on each of Florida State’s athletic teams…earned the Femina Perfecta award for the women’s golf team at the Champions Beyond The Game brunch presented by the Seminole Boosters in October of 2017…the award goes to the “complete women” on each of the Seminoles’ 11 women’s athletics teams with each recipient exemplifying the motto on the Florida State University seal – Vires, Artes and Mores…the award is presented to the player who is invaluable to each team, one who is a great teammate and who will always make a difference…averaged 73.87 strokes in 128 rounds during 44 events during her four-year career as a Seminole (2015-18). Played in the 2017 U.S. Women’s Amateur Championship at the San Diego Country Club in Chula Vista, Calif…totaled scores of 77-75=152…qualified for the U.S. Women’s Amateur with her third place individual finish in the 2016 Women’s World Amateur Team Championship…played in the 2017 Ladies British Amateur Open Championship in South Wales…finished in a tie for 21st place in the European Ladies Amateur Championship with scores of 74+71+73+72=290…the event was played at the Lausanne (Switzerland) Golf Club – her home club. One of only three Seminoles to play in all four events during the season…played in the Ocean Course Invitational, the Schooner fall Classic, the ANNIKA Intercollegiate and the Stanford Intercollegiate…played her best golf of the season as she finished in a tied for 16th place in the individual standings at the Schooner Fall Classic…helped lead the Seminoles to a fifth place finish in the team standings – one of two top-five finishes for the Seminoles during the fall season…played her best golf with a 1-under par total of 212 (on the par 71 course at the Belmar Golf Club) with scores of 75-67-70…played final two rounds of the event with a 5-under par total of 137…her score of 67 in the final round was her lowest of the season and is tied for the second lowest score of her career…was in a tie for 50th place in the individual standings with her first round score of 75…moved into a tie for 14th place in the individual standings with her second round score of 67 and finished in a tie for 16th place with her score of 70 in the third round…was the 14th top-20 finish of her career and second consecutive top-20 finish in the individual standings of the Schooner Fall Classic…she finished in a tie for eighth place in the Schooner fall Classic during the fall of 2016…also played well in the season opening Ocean Course Invitational where she earned a tied for 29th place finish in the individual standings…began the tournament (and the season) with a score of 73 in the first round had her in a tie for 11th place in the individual standings…her individual finish helped Florida State finish in second place in the team standings for the Seminoles’ best team finish of the season…carded a 73 in the second round of the Stanford Intercollegiate…her 36-hole total of 149 had her in a tie for 39th place in the individual standings heading into the final round…averaged 74.92 strokes in 12 rounds during four events. Helped lead Florida State to second place finishes in the ACC Championship and the NCAA Tallahassee Regional and a tied for 12th place finish in the NCAA Championship Finals…the Seminoles’ second-place finish in the ACC Championship marked their second consecutive second place finish in the event and tied the all-time school record for team finish in the event…enjoyed a stellar season as she finished at or below par in two of seven events…was at her best in the postseason as she was a total of nine strokes over par in the ACC Championship (+6, 20th place), the NCAA Tallahassee Regional Championships (+1, tied for 30th place) and in the NCAA Championship Finals (+2, tied for 17th place)…outstanding golf in the Seminoles’ second place finish in the NCAA Tallahassee Regional Championship at the Don Veller Seminole Golf Course…totaled a 1 over par score of 217 in finishing as Florida State’s third leading golfer with scores of 73-71-73…was in a tie for 33rd place in the individual standings and Florida State was in seventh place following her first round score of 73…moved up into a tie for 29th place and helped the Seminoles move into third place in the team standings with a 1 under par score of 71 in the second round…her score of 71 in the second round included the fourth eagle of her career on hole No. 10 at the Don Veller Seminole Golf Course – Florida State’s home course and host site for the regional championship…finished in a tie for 30th place in the individual standings and helped the Seminoles tie the school record for best finish in an NCAA Regional Championship in school history with a second place team standing in the event to advance Florida State to its third consecutive appearance in the NCAA Championship Finals…was at her best as a senior in finishing in a tie for 17th place in the individual standings in helping the Seminoles to a tied for 12th place in the team standings in the NCAA Championship Finals…scores of 73-69-71-77 for a 2 over par score of 290 in finishing as the Seminoles’ second-leading golfer in the event…tied for 19th individually and Florida State was tied for seventh as a team with her first round score of 73…carded her best career NCAA Championships Finals round with a 69 in the second round for a 142 total in the first 36 holes…her outstanding round moved her into a tie for fifth in in the individual standings and the Seminoles into a tie for sixth place in the team standings…under par for a second consecutive round with a 71 in the third round and a three-round total of 213 and a tied for fifth place individual standing…her individual performance put Florida State into ninth place in the team standings and on the verge of qualifying for the match play portion of the championship…she earned a top-20 individual finish (tied for 17) as Florida State earned the second highest NCAA Championships Finals finished (tied for 12th) in school history…second best career ACC Championships finish at tied for 20th to lead Florida State to a second place team finish…two rounds at par or better (71 in the first round and 72 in the third round) helped her finish in the top-20 in the individual standings in the conference championship for the second time in her three appearances in the event…under par for the ninth time in her career with a 3 under par score of 213 at the Evans Derby Experience at Auburn University…totaled scores of 69 in both the first and third rounds to finish in a tie for 12th place in the individual standings – the 14th top 15 finish of her illustrious career…her two scores in the 60s marked the second time in her career that she had finished a tournament with multiple rounds score below 70…Florida State’s leader at the Evans Derby Experience – the fourth time during her career that she had led the Seminoles on the leaderboard…averaged 72.70 strokes in 20 rounds during seven tournaments. Graduated from Chamblandes High School in Switzerland in 2014…has been a member of the Swiss National team since 2012 and has twice represented Switzerland at the European Girls Team Championships (2012 and 2013)…finished in second place at the 2012 Swiss Junior Championship (she lost the title after a five-hole playoff) and earned a third place finish at the 2013 Belgian International Amateur with a 3 under par score of 285…finished as a finalist at the 2012 Swiss Match Play Championship…with her third place finish at the Belgian International Amateur, 2013 ranked as Kim’s best year of competitive golf…won the Crédit Suisse Junior Tour Final, finished in a tie for fourth place in the qualification round for the European Girls Team Championship, finished in a tie for sixth at the Austrian International Amateur, in eighth place at the European Ladies Club Championship and earned a top 10 finish at the International Brabants Open…played in the Spanish Ladies International Championship where she advanced to the match play portion of the championship…earned a victory over the eighth ranked player in the world in the first round of match play in the event…finished in fourth place in the French Girls International Championship with a tournament score of 1 under par in 2014…won the championship of the Ticino Championship in Switzerland with a 4 under par total of 138 for the rain shortened event…finished in fourth place in the 2014 Swiss Match Play Championship qualification rounds before the start of match play…finished in fourth place in the 2014 Slovenian Ladies Amateur Championship and was the leader in the event after the first two rounds of play…the No. 2 ranked player in the final Swiss Girls’ ranking in 2013…finished fifth at the 2013 Swiss Girls’ Championship…teamed with her sister, Seminole senior Morgane, as part of the team that won the 2013 Swiss Interclubs Championship…in that event, Kim played on the winning foursome together with Morgane as they finished with a score of 1 over par 73 while they both tied for the stroke play title with identical scores of 2 over par 74…helped the Golf Club of Lausanne win the team championship at the 2016 Swiss Interclub Championship…played with Morgane, to win the team championship and finished in second place during stroke play with a score of 68 in the 2016 Swiss Interclub Championship…finished in third place in the 2013 Belgian International Amateur…finished in seventh place in the individual standings at the 2014 European Amateur Ladies Championship in Estonia with a 4 under par score of 284…played for her home country of Switzerland in the 2014 World Amateur Team Championship in Karuizawa, Japan. My favorite golfers are Martin Kaymer and Sergio Garcia. : My favorite golf movie is The Greatest Game Ever Played. : My favorite golf book is Golf: Its History from 1304 to Today by André-Jean Lafaurie. : I have several favorite courses: The Champion at PGA National, The Links at Fancort (South Africa), the Yas Links (Abu Dhabi) and The Real Club de Golf de Sotogrande (Spain). : I have carded two holes in one. The first one was in Sweden in Hahmstad during training prior to the European Girls Team Championship in 2013. The second one was during the practice round of the Dixie Amateur in 2013 in Heron Bay in Florida. : I love everything about the sport of golf. I like the competition and always want more. Every time you play, it is a different situation. You never play twice the same way even on the same course. It makes the sport of golf so exciting. : I did a lot of skiing before golf. Great mountains are a one hour drive from home. I also participated in horse riding and classical dance for several years. : The best advice I have been given about the game of golf is to have fun and stay patient.